Norway uses the Europlug (Type C & F), which has two round prongs. If you are traveling from the U.S., you will likely need either an electricity transformer or adapter for your devices to use the 220 volts of electricity that come out of the wall outlets. Most of Scandinavia uses 220 volts. If you have read anything yet about powering your devices while abroad, you might have heard the terms power "adapter," "converter," or "transformer," bandied about. The use of all these terms can sound confusing, but it really is simple. A transformer or converter is the same thing. That is one less thing to worry about. Now you need to know how an adapter differs from them. An adapter is much like an adapter you find in the U.S. Say that you have a three-pronged plug, but you only have a two-pronged wall outlet. You put an adapter on your three prongs, which gives you a two-pronged end to plug into the wall. An adapter in Norway is the same. You put an adapter on your flat pronged-ends and then you turn it into the two round prongs that you find on the wall. But, what is important, before you do that, is that you must make sure that your device can accept the 220 volts that are coming out of the outlets in Norway. 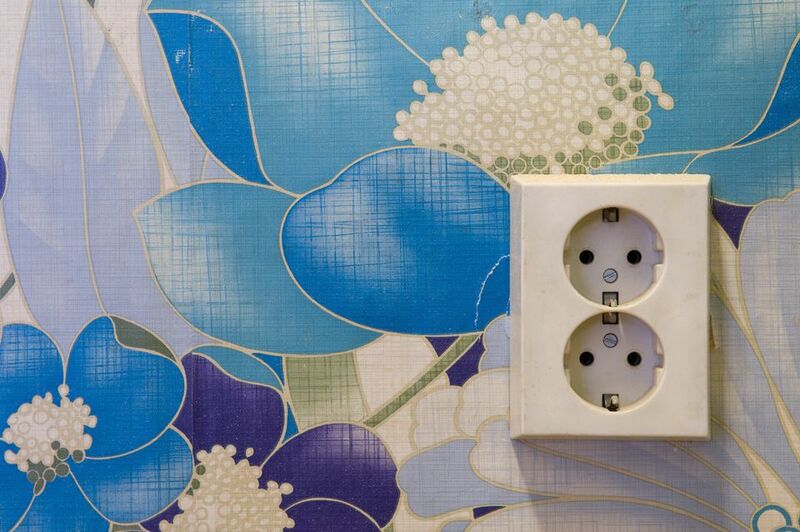 In the U.S., the current that comes out of our electrical sockets is 110 volts. Most electronic devices like cellphones and laptops are built to withstand up to 220 volts of power. To know for sure if your electrical device is able to accept 220 volts, check the back of your laptop (or any electrical device for the power input markings). If the label near the appliance's power cord says 100-240V or 50-60 Hz, then it is safe to use an adapter. A simple plug adapter is relatively inexpensive. Get one, put it on your plug end, and plug it into the outlet. If the label near the power cord does not say that your device can go up to 220 volts, then you will need a "step-down transformer," or power converter. A step-down transformer or power converter reduces the 220 volts from the outlet to provide just 110 volts for the appliance. Due to the complexity of converters and the simplicity of adapters, expect to see a significant price difference between the two. Converters are considerably more expensive. Converters have a lot more components in them that are used to change the electricity that is going through them. Adapters do not have anything special in them, just a bunch of conductors that connect one end to the other in order to conduct electricity. If you do not get a transformer or converter and just use an adapter, then be prepared to "fry" the internal electrical components of your device. This can render your device entirely useless. Converters and adapters can be purchased in the U.S., online or in electronic stores, and can be packed in your luggage. Or, you can most likely find them at the airport in Norway as well as at electronic stores, souvenir shops, and bookstores there. Do not plan to bring any type of hair dryer to Norway. Their power consumption is extremely high and can only be matched with correct power converters that let you use them with Norwegian sockets. Instead, check ahead with your Norwegian hotel if they will provide them, or it might even be cheapest to buy one after you arrive in Norway.